Are you looking for Australian single parents for your student or university study? We can help you find them – FAST! 30,000+ Likes, and is the biggest single parenting Facebook Page in Australia! Single Parent Australia believes that single parent research is important, and has assisted many Universities and organisations in collecting single mother and single father data for their studies. Universities include Ballarat, Wollongong, Bond and Edith Cowan, and organisations include the Commonwealth Attorney-Generals Dept, the Brotherhood of St Laurence and NAPCAN. When we actively promote your Single Parent Research Program you receive a much higher volume of traffic direct to your feature page – FAST! Single Parent Australia can spread the word quickly and advertise for your required single parents across our large Australian network – including our www.SingleMum.com.au websites and Single Mother Forums, Newsletters, Facebook and Twitter communities. *Can you link to our website from your organisations highly-Google-rated website? We may be able to negotiate a drastically reduced price or no charge fully promoted Single Parent Call Out. 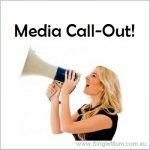 1 x exclusive Single Parent Research Call Out feature web page with stock photo hosted on the www.SingleMum.com.au website. 1 x exclusive Single Parent Research Call Out feature web page hosted on the www.SingleMum.com.au website. 1 x www.SingleMum.com.au home page home page slideshow slide (position 3) Single Parent Research Promotion advertisement for the period of up to one month. 1 x exclusive tailored information-collecting single parent Response Form option, with up to 10 questions of your choice, and a final report. The Response Form collects your data and is hosted for the period of up to one month, with a maximum of 1,000 responses. 1 x Single Parent Research Promotion advertisement posted as a “Global” post for up to one month, which appears in all forum sub-indexes, achieving maximum visibility on the www.SingleMotherForum community website. Thousands of single parents will see your advertisement – Single Parent Australia Research Promotions frequently achieve a large response. …and we’ll commence your mass Single Parent Research Promotion asap! All website pages and indexes are hosted for a guaranteed for 12 months. Response forms are hosted for a maximum of one month. Please note that we do not guarantee to accept every Single Parent Research Promotion application received, and whilst non-successful Research Promotions are rare, there is no minimum response guarantee. Our payment options include direct deposit and Paypal. For further information, please phone us on 02-9037-5178 (9am-5pm, Mondays to Fridays) or email us (24hrs, 7 days a week).